It's hard to imagine how we ever got along without the internet being available to us every time we need it. This useful tool has made many others obsolete, and nowadays we can search for love online, bid on that unicorn lamp we want and even find a job that best suits our qualifications. At a click of a button we can weed out all the jobs that are not right for us, and focus on the ones that are. That is the first step of an online job hunt, but what comes next? Should you rest on your laurels? The answer is definitely No, especially in light of the fact that each job has hundreds of people applying for it. 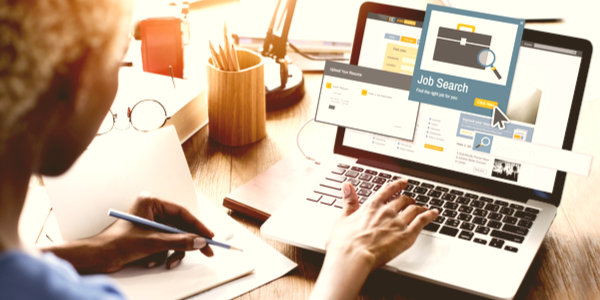 If you want to improve your chances of finding a job online that best suits you, check out these 5 great tips that will help you succeed on your job hunt. 1. Focus on the jobs that best suit you – many people that go on an online job search cast a very wide net that covers jobs that suit them and plenty that don't. Sending your resume to as many jobs as you can increases your chances of getting the job you want, but only when it comes to jobs you are qualified for. Instead of wasting time on sending applications for jobs you aren't right for, invest it in searching and applying to positions where you can actually contribute something. Employers take notice of the most suitable candidates while those that don't get their resumes sent to the bottom of the pile. 2. Research the employers and the companies you apply to – no one wants to get hired to a job and then find out it's not the place for you. Along with the browser for the job search, open up another tab to do a research the places you are considering applying to. With background check websites like GoLookUp, you can do a people search and a companies search to find out more about different places, and the people working in them. Also, try to google the company your considering working for so you can go on the interview well prepared, and tell the interviewer how you can contribute to the workplace based on what you learned online. 3. Build a solid online and offline network – every time you meet someone in a professional capacity, you extend your network, and your potentional pool of jobs. Wihile job hunting online, put yourself out there, search and go to professional events, mingle and make small talks that will lead to big opportunities. 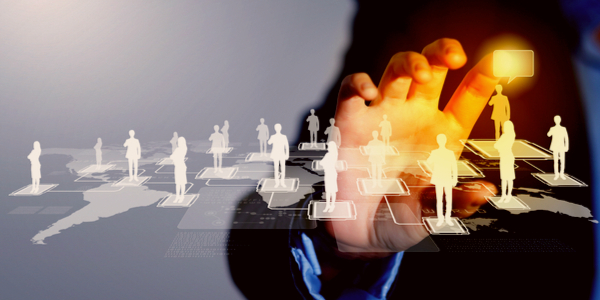 Also, connect with people on professional social media websites to increase the number of acquaintances in your field of work that can be the key to many job opportunities. 4. Network before you apply for the job – if you find a place that you think is the right one for you, try to network with the people there. Use websites like LinkedIn to find employees that can give you information about available jobs that might not be advertised. Don't ask about jobs right off the bat – instead build a relationship with the people you find and make sure they know you are available for the positions you desire. This way you will be the first one in line for the job you want, and the impression you leave will tilt the odds in your favor. 5. Ask about job referral programs – once you have a contact on the inside, ask them about a if they have an employee referral program. Most people would jump on the chance to bring a good candidate to their work place, and this is only possible if you haven't submitted your resume yet. So, practice patience and a build good relationship with your contact so they refer your resume to the employers, and put in a good word for you while they're at it. Bankruptcy Laws in Alabama: Find out what are the Alabama bankruptcy laws and what to do in case of bankruptcy. Set Alarm: How to Set the Alarm on Your iPhone? How to set iPhone alarm: Learn how to set alarm clock on iPhone quickly and easily! What is Love and Hate Relationship? WhatApps Messenger Review: Things to Know about WhatsApp!